Back in 2005, I went on my first trip to Italy. I went with my mother starting in Rome, then Florence and Venice. In Rome, we visited the Trevi Fountain. I made a wish and through a coin in the large pool of water. This was to signify that I would one day come back to Rome. And I did. I spent this spring break touring Rome, Naples and the Amalfi Coast with my husband on his first trip abroad. I wanted him to see the country where his ancestors came from, to experience what the world outside of America is really like. And for me, I had a goal of going abroad every four years. This time, I made it back in five. Seeing the world is something that has grown increasingly important to me over the years. Seeing new places and revisiting past destinations is eye-opening and inspiring. After my first trip to Italy, I declared Florence my favorite city. In revisiting Rome, I fell in love all over again. There is such an elegance to the city — art all around you, beautiful people, small streets, vespas and small cars managing through. You can easily get lost, and we did, but around every corner there was unexpected discovery. We ate gnocchi, frequented espresso bars, treated ourselves to gelato and spent the evenings admiring ancient architecture amongst the locals as we sipped beer and wine on the streets until our heart’s content. Moving into Naples was truly eye-opening. My GPS led us up this small street with laundry and buckets hanging from people’s windows. We were approached right away at the train station by some guys trying to sell us lighters that looked like bullets. It was loud, chaotic and a bit dirty, — a gritty experience. We had been warned of Naples. We almost let that fear get the best of us, but once we got to our hotel, found the main roads and the famed pizza with mozzarella di bufala, we realized how lucky we were to be seeing real life the way many Italians live it. If Rome is Manhattan, Trastevere is Brooklyn, and Naples is Harlem. It’s where the culture of the people comes alive. From Naples, we had easy access to Mount Vesuvius and the ruins of Pompeii. We first scaled this active volcano then got lost in the ruins, overwhelmed by the juxtaposition of this powerful natural force and these ancient man made structures that have stood the test of time. Pompeii was destroyed in 79 AD when Vesuvius erupted without warning. The population was completely wiped out but the structures of this town still stand, though incomplete, today, fragments of art on the walls and a people who once thrived in this city by the bay. 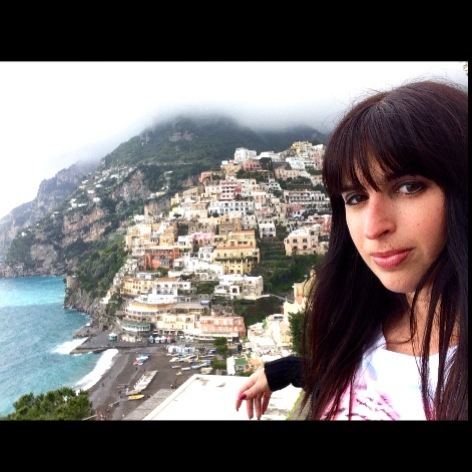 After Naples, I got to live out my mother’s dream of visiting the Amalfi Coast. Basing ourselves in Sorrento, kind of like the Hamptons of New York, we took a long bus ride along the winding streets to Amalfi and Positano, 2 towns built vertically along the water – one of the most amazing sights I have ever seen in person. We sipped on limoncello and ate cornettos and simply took in the beautiful views. We scaled many stairs up and down, climbed many hills, and got lost in a country where we didn’t speak the language. But at the end of each flight of stairs, each hill, at the end of each day, we had experienced something great. Traveling is exhausting, frustrating, confusing, frightening and anxiety-causing, but traveling is also exciting, educational, inspiring, thrilling, fun, and well worth it. And before we left Rome, I once again made a wish and through a coin in the fountain. I will be back. Last week, I had the great honor to attend one of the last shows ever at the historic Roseland Ballroom. The venue has been a New York City staple for 95 years and last night all of that came to an end. The venue has hosted many of the great performers over the last century, its intimate setting ideal, at least to me, for a great concert experience. To be able to be in a crowd with happy fans and be able to actually see the performer is just not something that happens when you attend stadium shows. For the past few years that I’ve been going to Roseland, I have fallen in love with it just as so many others before me. So when I learned that one of my favorite artists would be the last performer, it was truly bittersweet and somehow, a super appropriate send off. Lady Gaga did the venue the justice it deserves. The crowd at Lady Gaga concerts is always a fun one, with lots of costumes and makeup in the crowd of true devoted fans. This combined with concert goers sharing their memories of the venue made for a very special night. When it all ended, there was an unusual feeling, an eerie pause in the crowd. People didn’t rush to the door like they usually do. Everyone took a moment to say goodbye to the place where so many memories were made. Time is but a fleeting thing, and you really have to take opportunities when they come, because they won’t always be there. As Roseland disappears from the New York City landscape to be replaced with housing, all that will be left are these memories. There are many moments, many opportunities I wish I had taken. But I get it now. I really get it, and now I get to have this great memory. I get to be part of history. 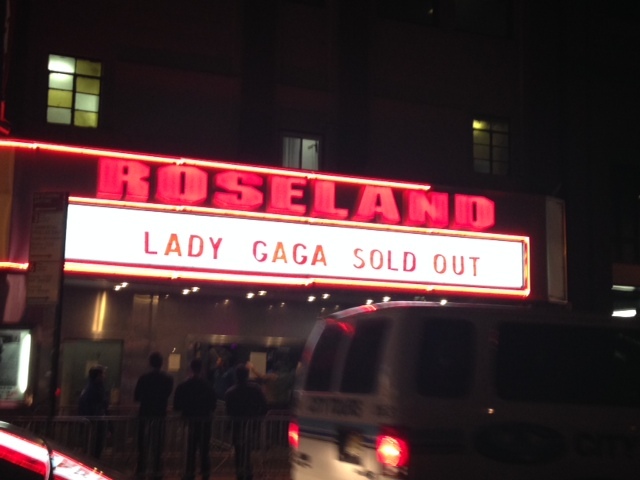 Goodbye Roseland. Thanks for the memories.